With one week left of summer break, it's time to bust out the super quick and easy dinners. 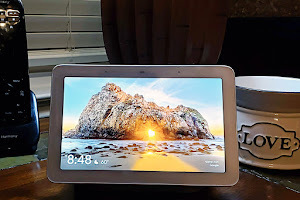 Because we all know that just when we think we have everything our kids need for the new school year, you are missing something! Then there are open house and meet the teacher nights. All while trying to squeeze every last drop of fun out of Summer! Now is not the time to be messing around in the kitchen. Dinners are usually pretty low key around here. I love a good fancy meal, but I really love something I can throw together that won't keep us from enjoying another afternoon in the pool. On the nights when we just want to hang out or watch a movie, I don't want to be stuck in the kitchen. 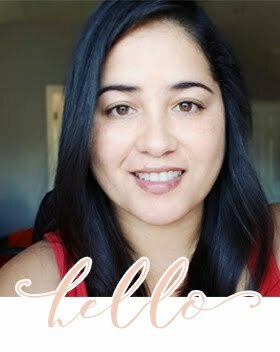 No, I want in on the fun too! 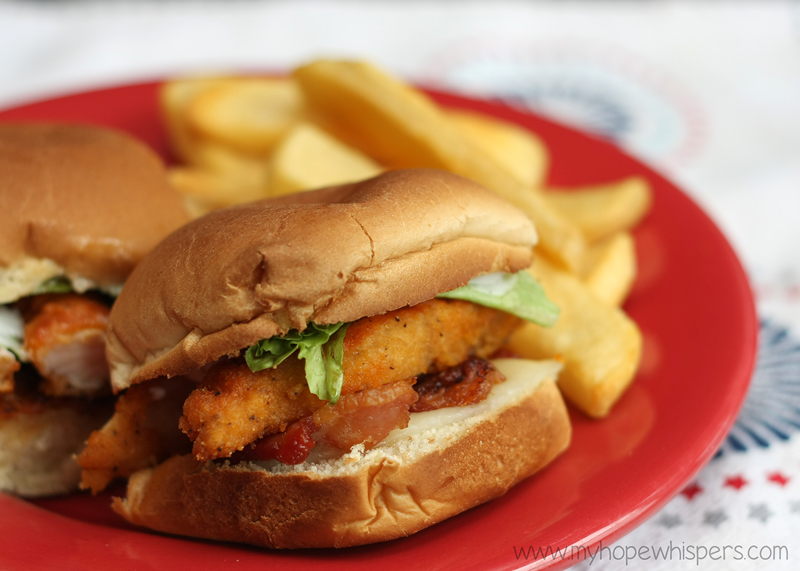 What I love most about these Buffalo Bacon Sliders is that everything can be prepped while the chicken is cooking and thrown together in no time! And, they are so good that they will be gone before you know it. Great for a quick dinner, but also great for when a few of your son's friends come over after school and everyone is starving. 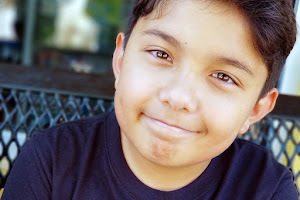 Growing boys! They never stop eating! 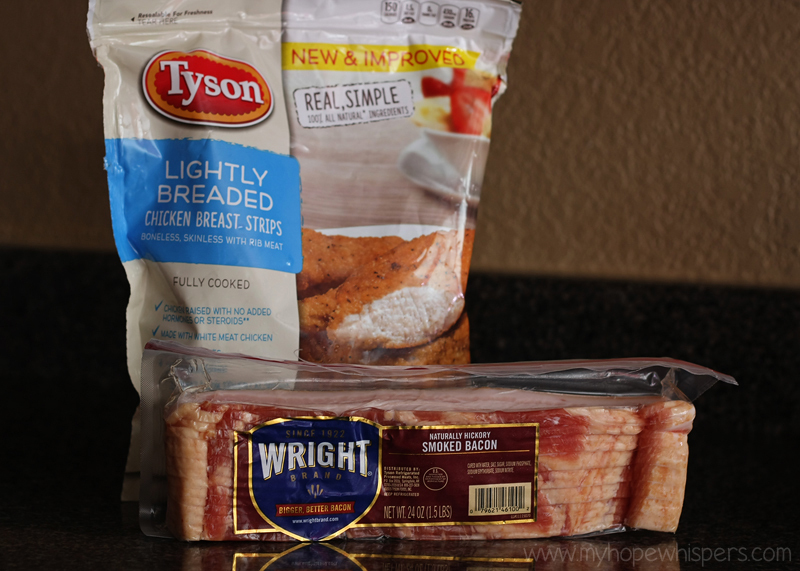 The stars of the todays recipe: Tyson® Better for You Lightly Breaded Chicken Strips and Wright Brand® Bacon. 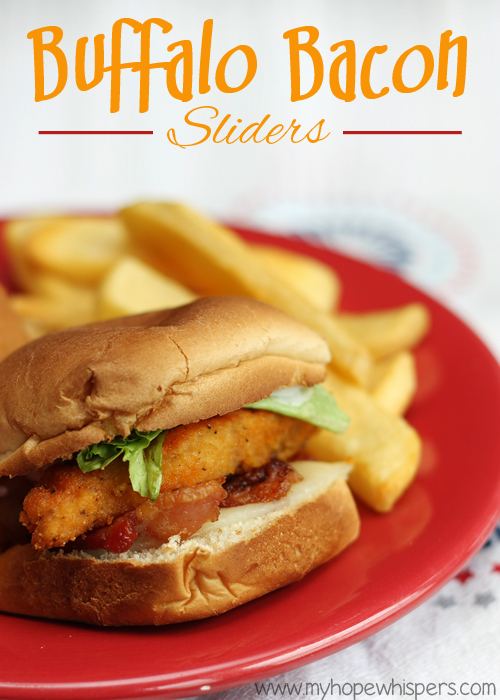 The strips are perfect for these sliders because they are only lightly breaded and don't get to crunchy. And the bacon, well, it is the best bacon I have ever had! 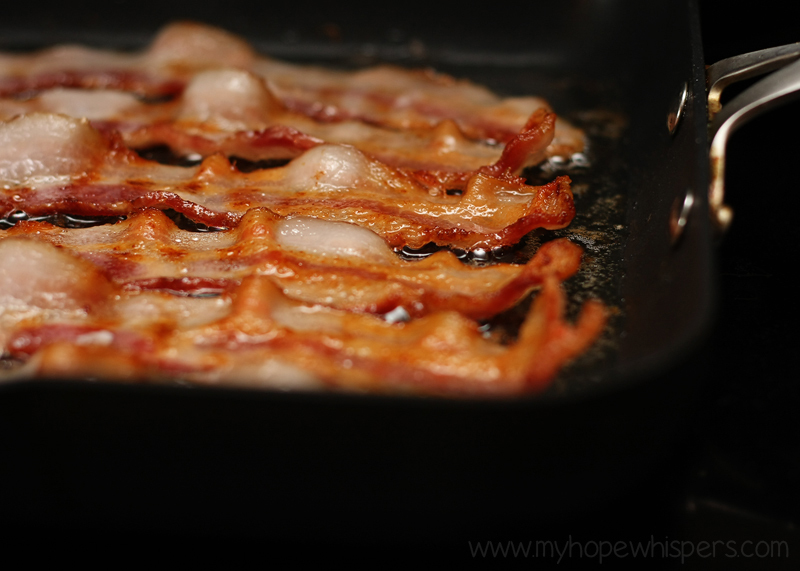 Can we just take a minute to appreciate the bacon. It is a Texas brand and it lives up to Texas standards. Not only is it bigger but yes, its so much better than the rest. And it gets the perfect kind of crispy too! 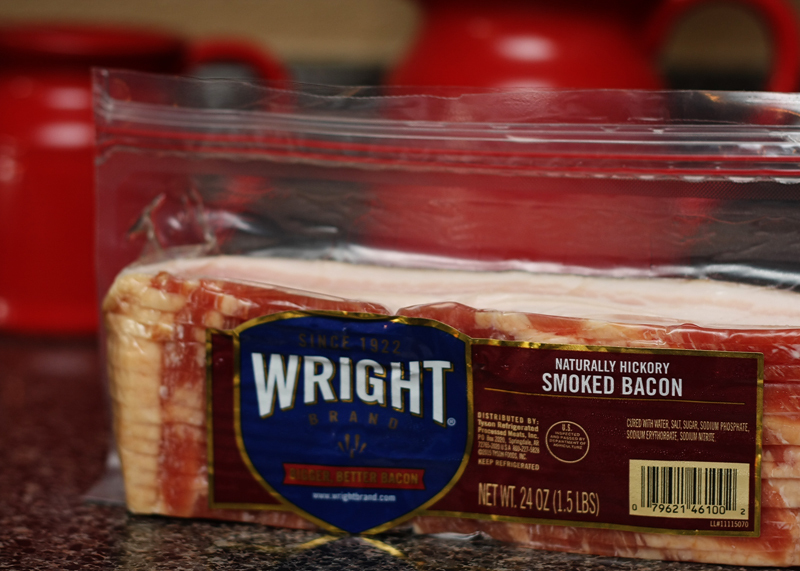 Before your next trip to HEB, stop by their website and type in Wright Brand® Bacon into the search box for a digital coupon. Cook chicken strips as directed on package. Fry the bacon until crisp and drain on paper towels. Cut rolls, transfer to a baking sheet and top with cheese. When turning the strips, brush them with buffalo sauce. Toast the rolls in the oven till the cheese is melted. About 3 mins. Remove rolls and chicken strips from the oven. 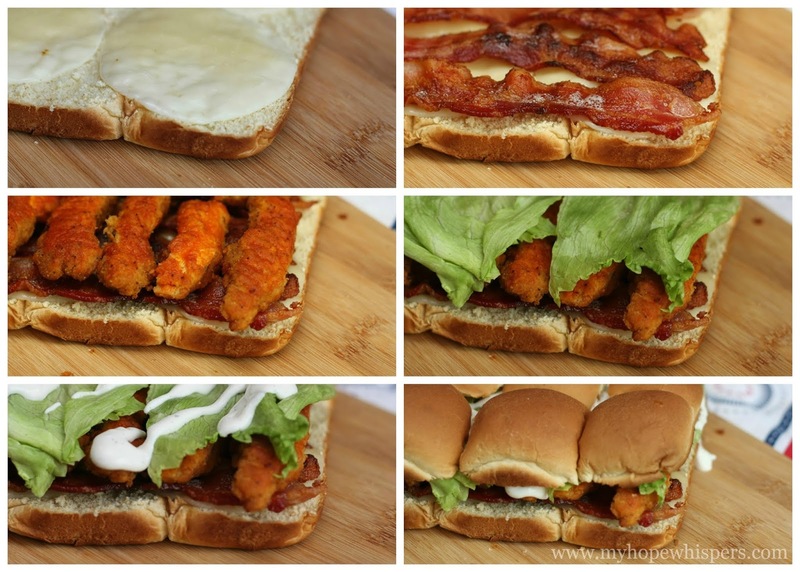 Layer on the bacon, chicken, lettuce, ranch and the top buns. It really is that easy! While the chicken is cooking you can toss some fries in the oven or a side salad is nice too. In the case of hungry pre-teens, just cut them, stand back and watch them disappear right before your eyes! 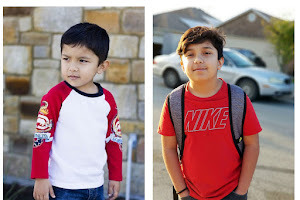 Don't forget to look for the on pack stickers on your Wright Brand®, State Fair® and Tyson® back-to-school products and enter to WIN 1 of 20 H-E-B $100 Gift Cards. What are some of your go to, quick and easy meals?